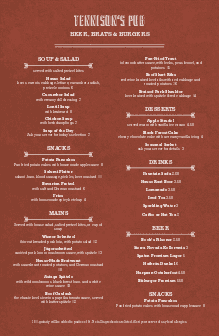 A simple, playbill style pub menu with a rust background. 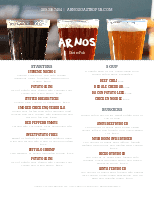 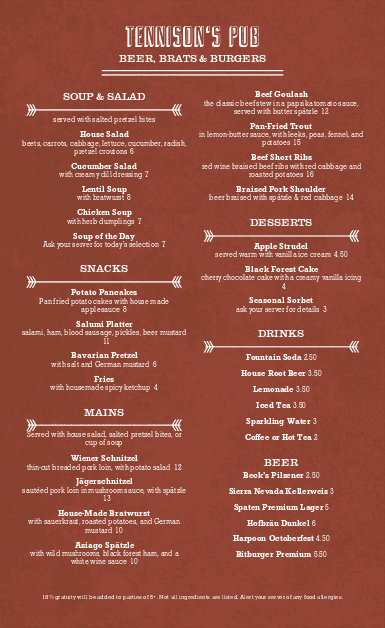 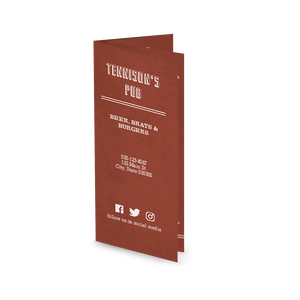 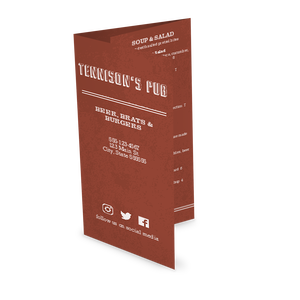 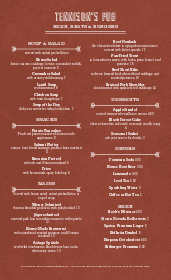 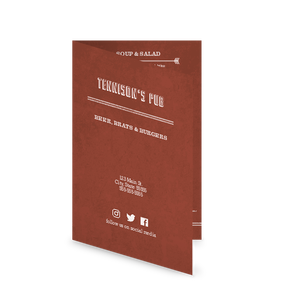 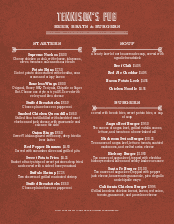 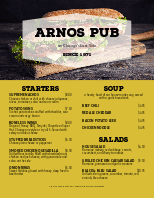 List your bar food and drinks using the Pub Dinner Menu template. 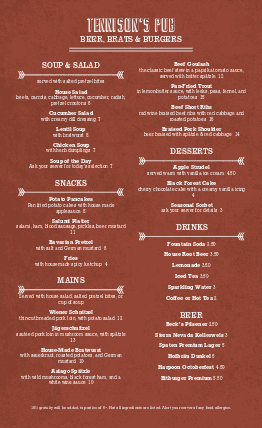 Edit this menu with the online Menu Maker.